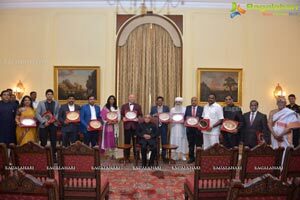 Shri Pranab Mukherjee, the honorable president of India, presented the NRI SEVA Foundation's GSA - Outstanding Citizen Awards at Rashtrapathi Bhavan, New Delhi on 1st July. 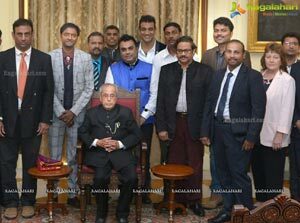 The delegation of NRI SEVA foundation, the host organisation of the GSA World Divine Congress event, met Shri Pranab Mukherjee at Rashtrapathi Bhavan. 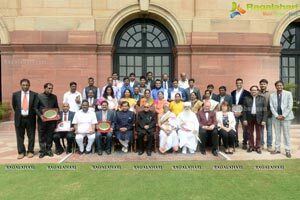 The Outstanding Citizen awards were presented to NRI SEVA and GSA Team Members. NRI SEVA Foundation's fifth anniversary celebrations event, which united all religions on one stage to show "Humanity is main focus in every religion", was held recently in Hyderabad.